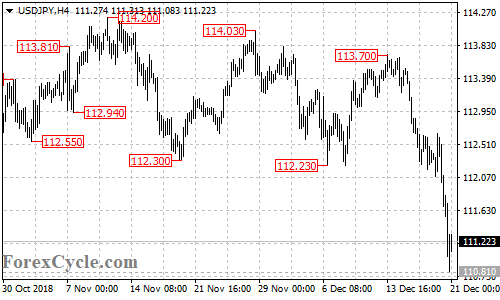 USDJPY extended its downside movement from 113.70 to as low as 110.81. Further decline is still possible after a minor consolidation and next target would be at 110.00 area. Near term resistance is at 111.50, a break of this level would suggest that the consolidation for the downtrend is underway, then further rally towards 112.00 could be seen.